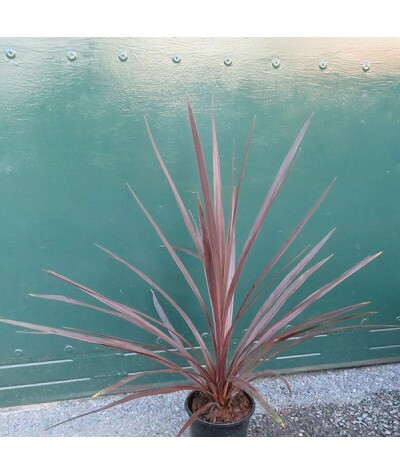 Dark leaved cabbage palm with a large dense mass of long sword shaped deep burgundy red leaves. Small creamy white flowers in early summer. 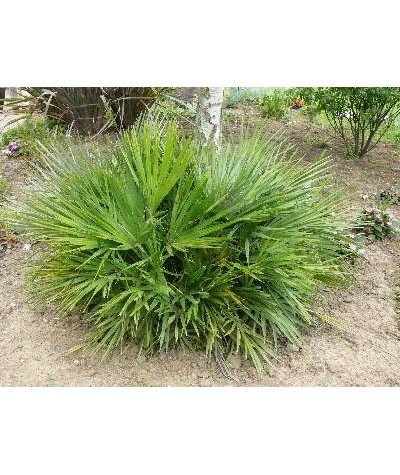 Well drained soil in a sunny spot sheltered from strong w..
European Fan Palm. 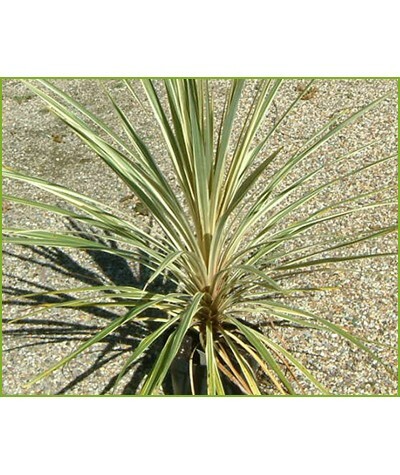 Good evergreen for a sheltered, well drained, outdoor spot in sun and is surprisingly hardy. Gives an exotic feel to a garden. 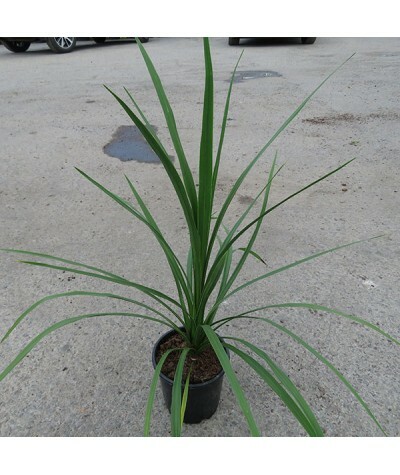 Can also be grown in a large cool conservatory. 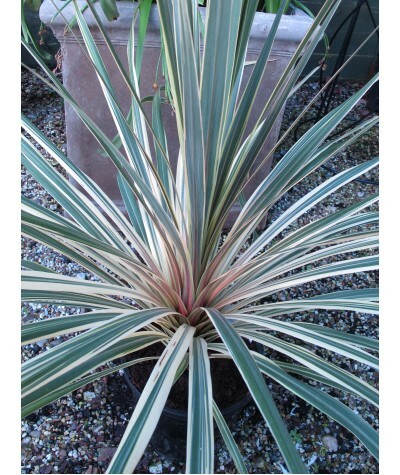 Hei..
Palm like growth with lovely sword like leaves, green edged cream and tinged pink. 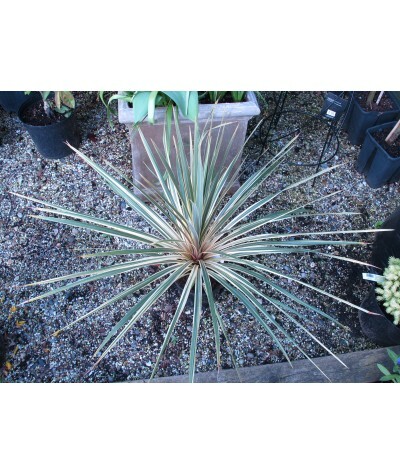 Well drained sheltered position in sun. Height and spread up to 4m x 2m. 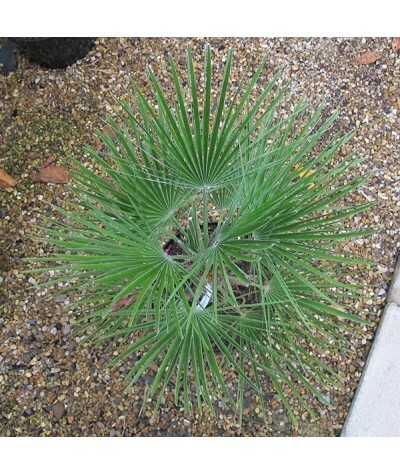 ..
Australian cabbage palm. Sword like leaves eventually forming small tree. Well drained sheltered position. Huge flower spikes in summer bearing hundreds of starry white flowers. Green Star is a sel..